Harrison is a junior at Western Kentucky University, where he is a staff photographer at the student newspaper, The College Heights Herald. He is also a photographer with the university’s yearbook, The Talisman. 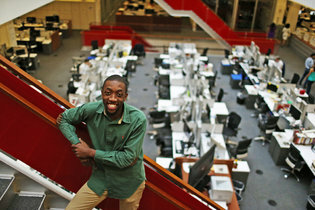 Last summer, he interned at The Boston Globe. He is a member of the National Association of Black Journalists.